I had a first time experience on Friday. I had VIP passes. 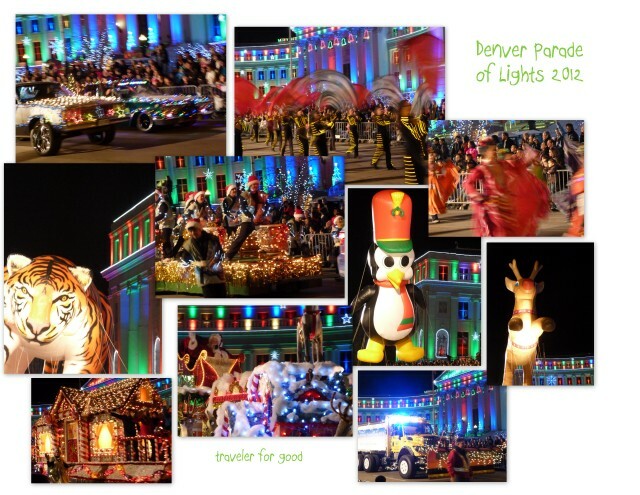 To the Parade of Lights. Oh yes. What do VIP parade passes get you? Grandstand seating at the parade start right at the City County Building. It was the perfect backdrop to all my pictures. No scrounging to find a spot on the sidewalk along the route. Also, access to bathrooms, hot chocolate and cookies. The parade is a wonderful way to start celebrating the Christmas season here in Denver. Passports with Purpose is up and running through December 11. If you'd like to win hotel stays in Downtown Denver (or other great prizes), click here to donate.